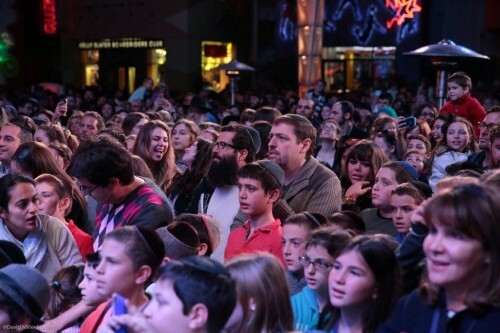 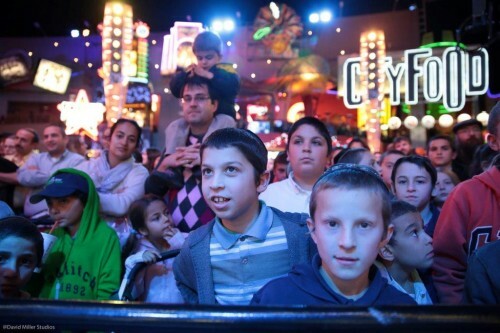 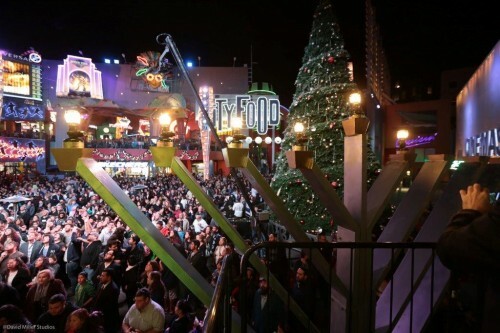 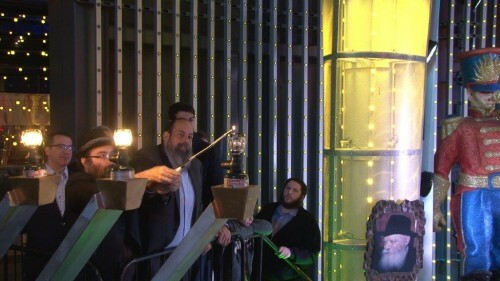 Universal Studios President joins Chabad of the Valley’s Chanukah at CityWalk calling it amongst “the largest Chanukah events in the world”. 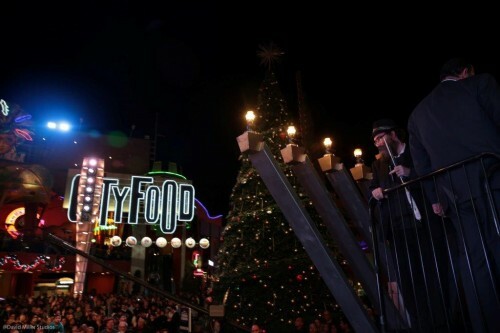 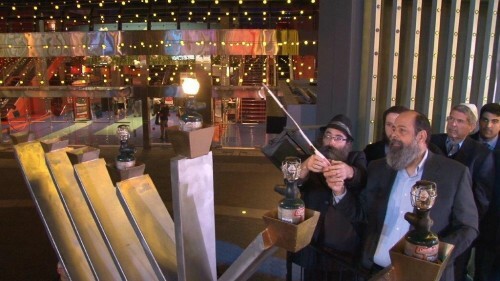 Chabad of the Valley’s Chanukah at CityWalk has become an annual fixture on the L.A. calendar and is known to be the largest Chanukah celebration on the West Coast with many thousands in attendance each year; but Larry Kurzweil, President of NBC’s Universal Studios Hollywood went a step further this year, proclaiming that this event had perhaps earned its place amongst “the largest Chanukah events in the world”. 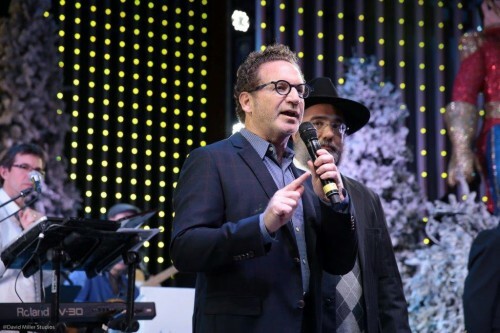 “It was truly a proud moment for the Jewish community of Southern California”, according to Rabbi Yossi Baitelman, Director of Chabad of Studio City and the original founder of the event. 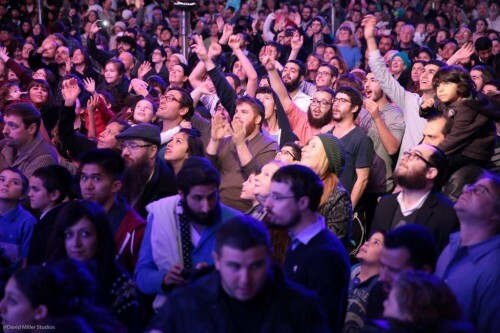 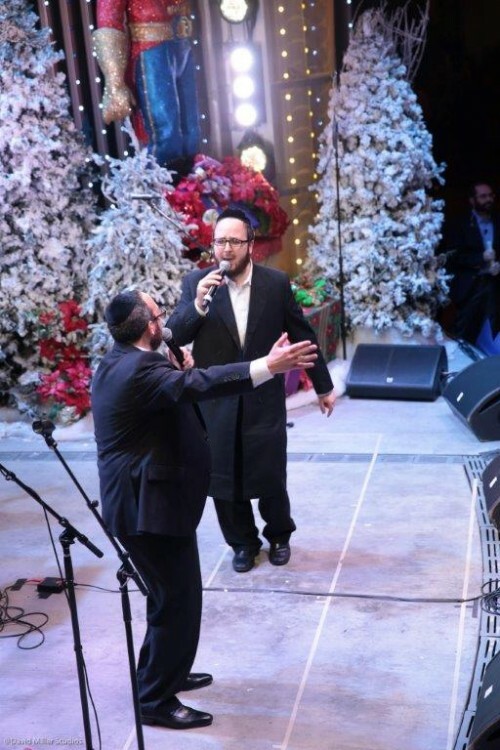 Rabbi Mayer Greene, marking his 12th year involved in organizing the event and also serving as its Master of Ceremonies, said that the concert and celebration “had three hours of non-stop entertainment generating an incredible excitement”. 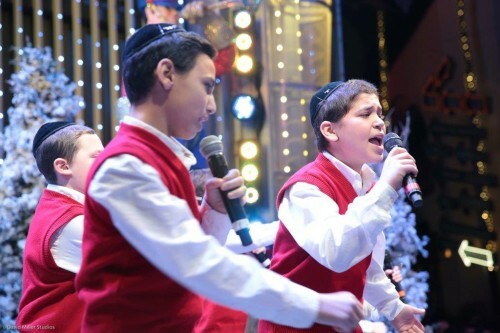 This year’s headliner was Eli Gerstner and soloists of the Yeshiva Boys Choir, led by Yossi Newman, making their debut performance in front of a live audience on the West Coast. 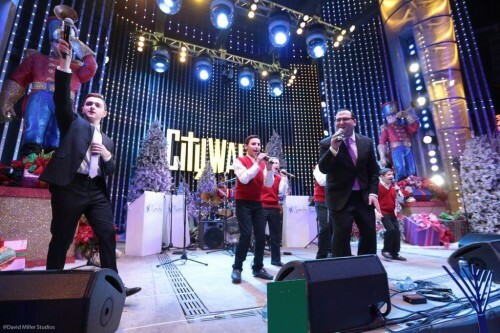 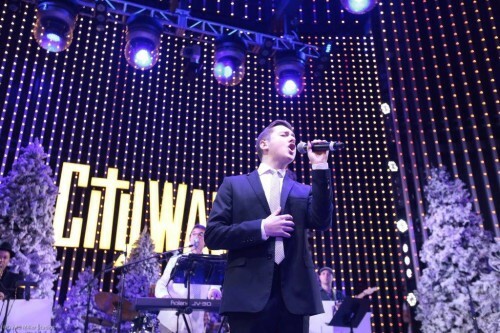 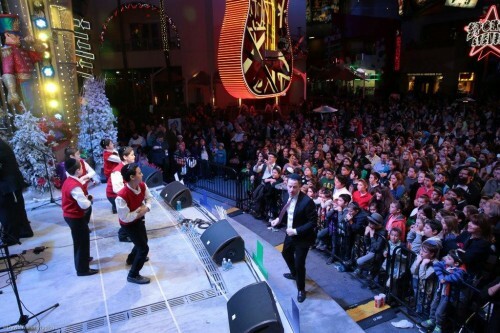 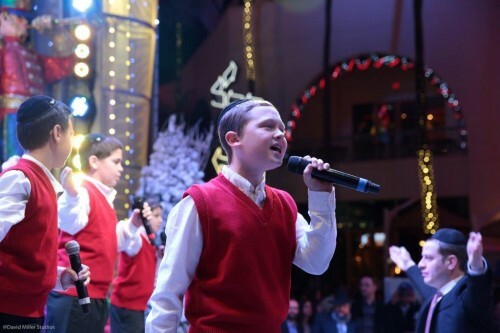 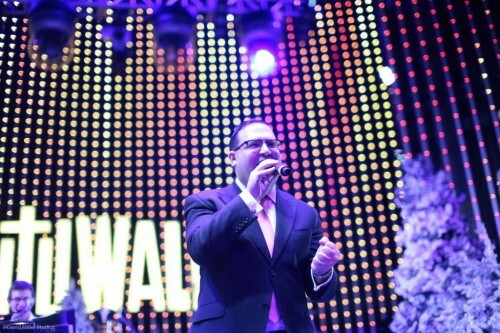 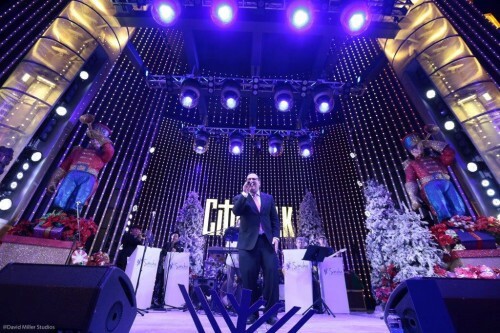 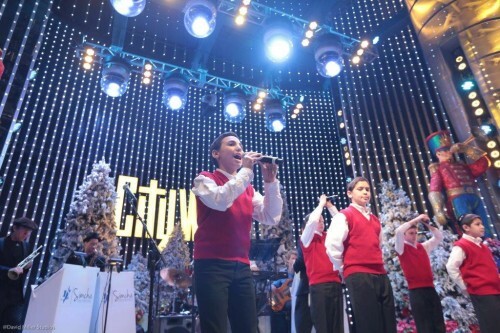 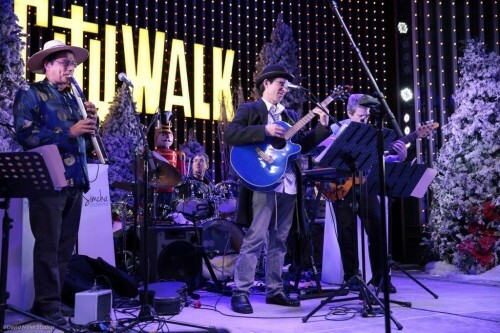 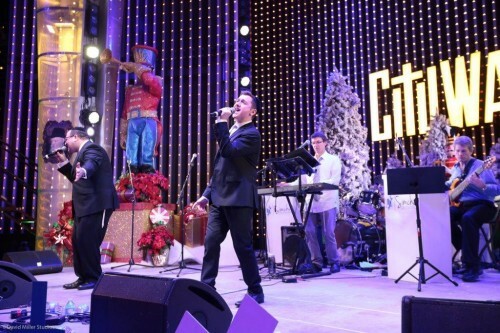 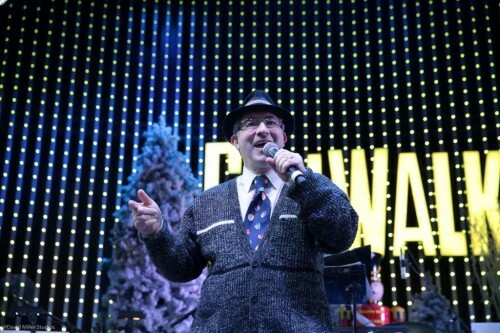 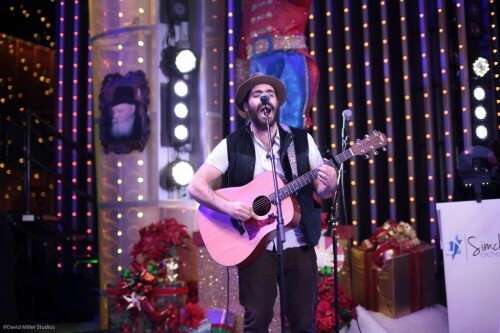 The outdoor plaza at CityWalk came to life, as the YBC performers sung one hit after another and featured a special guest appearance by Yakov Mordechai Gerstner. 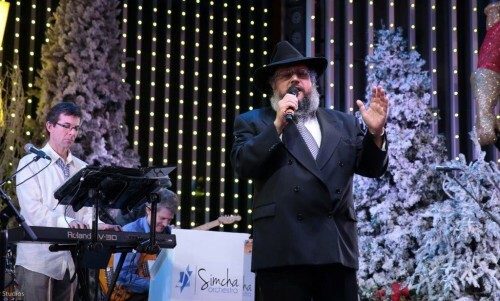 If that wasn’t enough, this spectacular evening of Jewish entertainment also featured performances by The Mystic Sideshow, Kenny Ellis, new local talent Shmueli Schwartz, and an inspiring performance by New York’s Yoely Greenfeld, described by Jewish Music Report as “one of the top three voices in Jewish Music today”. 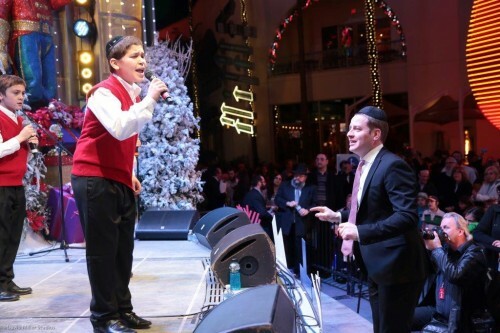 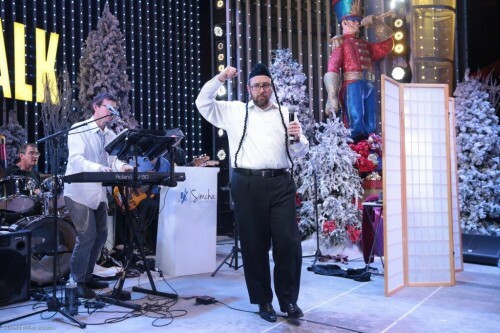 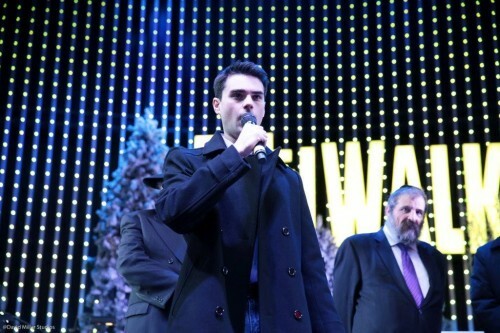 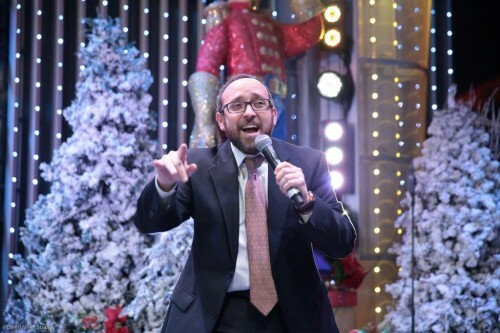 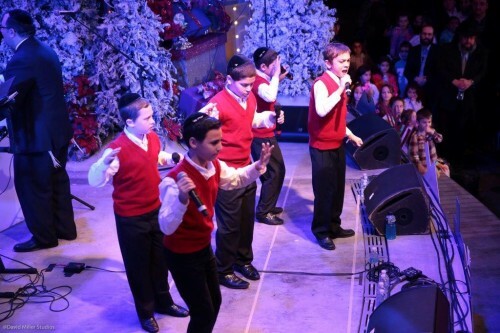 Moshe Hecht captivated the audience during the Menorah lighting ceremony performing his hit song, “Lamplighters”. 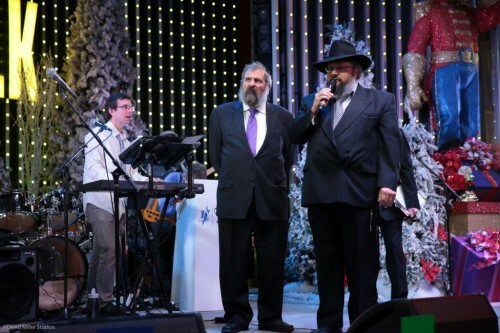 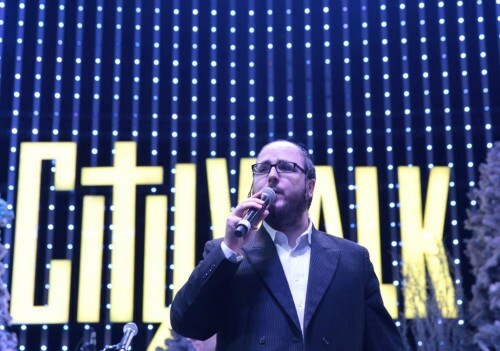 Then to top that off, Yisroel Williger joined the stage with a Musical Tribute to Jewish music’s superstars, many of whom had graced the stage at CityWalk over the years. 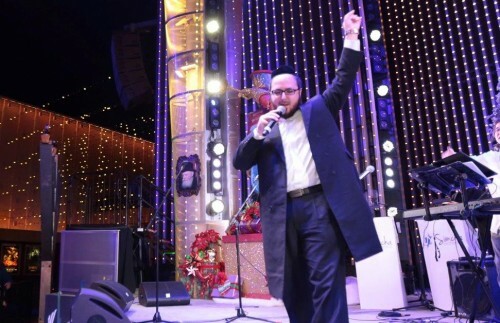 Williger had the crowd laughing away with his multiple costume changes appearing as: Avraham Fried, MBD, Lipa, The Chevra, 8th Day and everyone’s favorite uncle, Uncle Moishe. 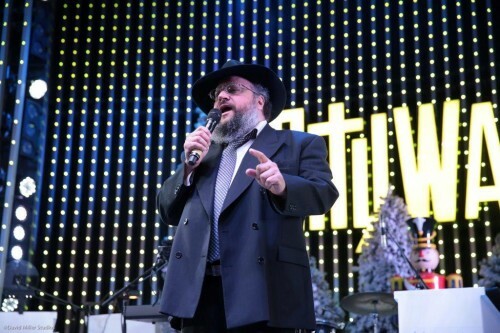 Chabad of the Valley’s Executive Director, Rabbi Yehoshua B. Gordongave a short address and extended special thanks to the Anonymous Sponsor, who has made this event possible for over a decade. 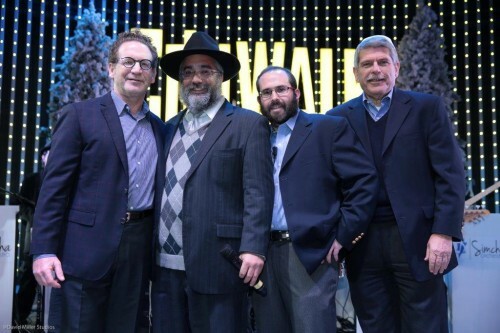 He also called upon a special friend of Chabad, Hector Guerrero, who highlighted the importance of acts of goodness and kindness. 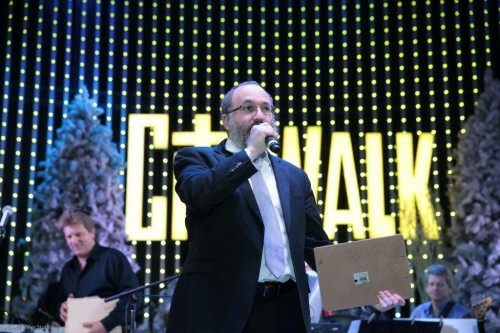 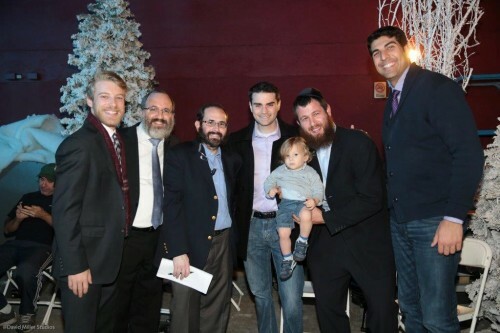 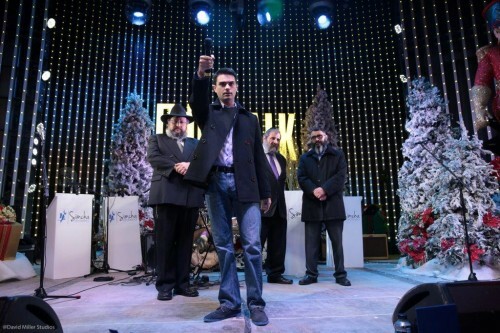 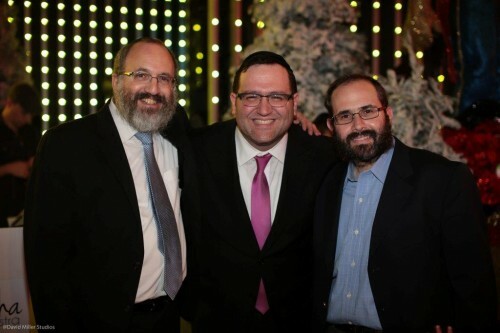 Rabbi Mordechai Einbinder, Associate Director of Chabad of the Valley, welcomed various dignitaries, among them, AM870’s famous talk show host Ben Schapiro, who made a special appearance at CityWalk as a guest of Rabbi Yanky Kahn of Chabad of Tarzana. 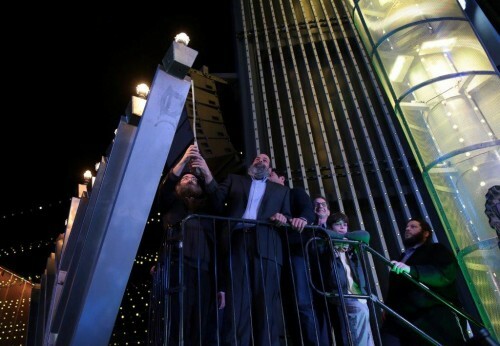 Following the formal ceremony, the event’s behind the scenes technical Director, Rabbi Yochanan Baitelman was joined on the podium by the President of Universal Studios Hollywood, Mr. Larry Kurzweil, Philanthropist Lyle Weisman and other dignitaries honored with lighting the enormous 15 ft. Menorah. 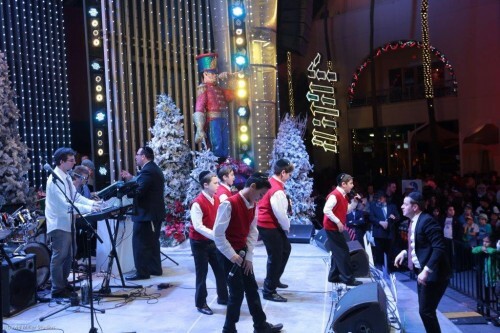 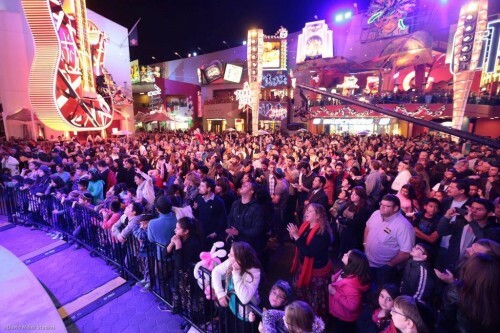 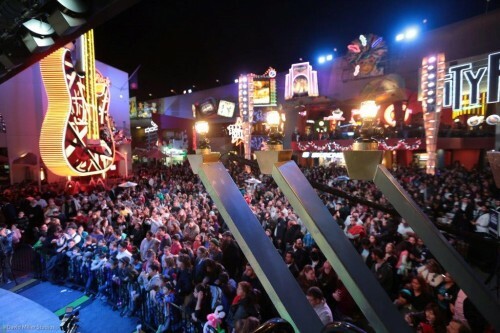 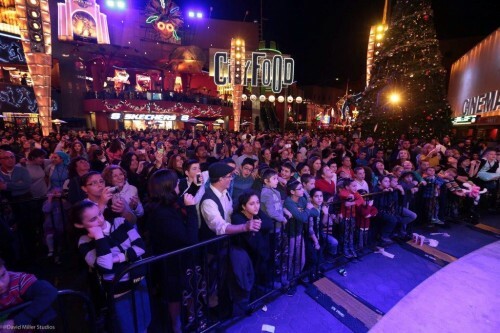 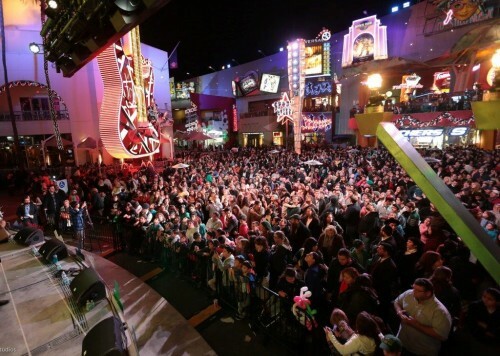 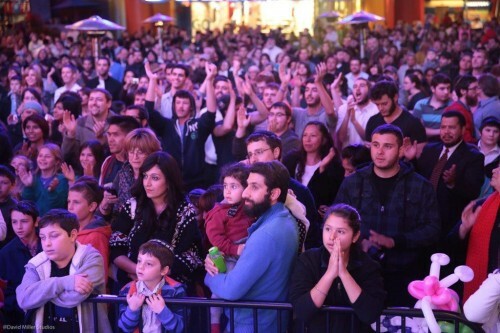 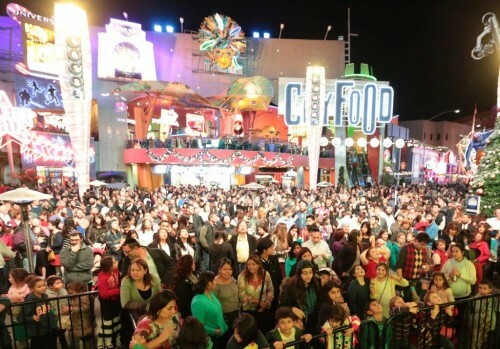 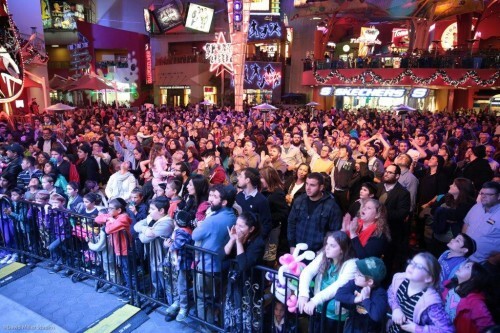 From 6:00 p.m. till 9:00 p.m., Universal Studios CityWalk had been transformed into a “Chanukah Wonderland” with a vast array of entertainment, face painters, arts and crafts and all the favorites from LA’s popular Meshuga4Sushi Kosher sushi franchise. 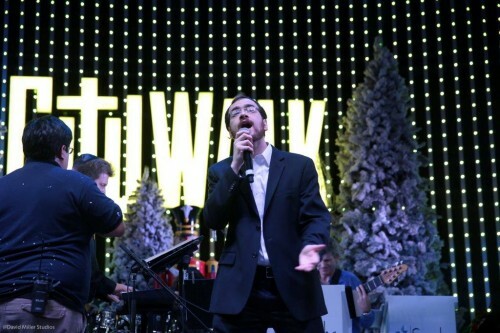 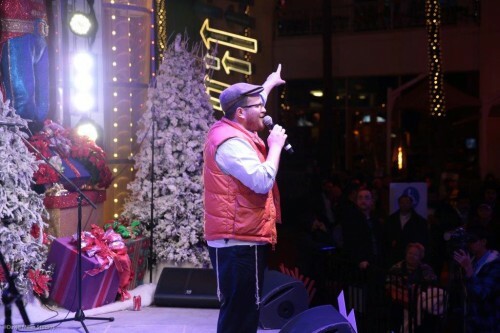 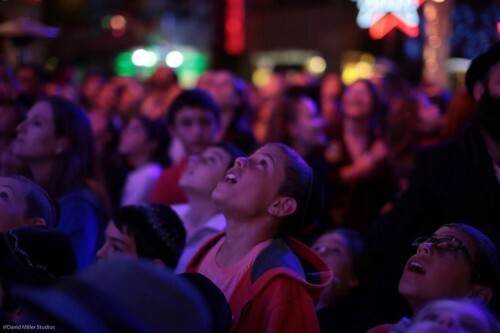 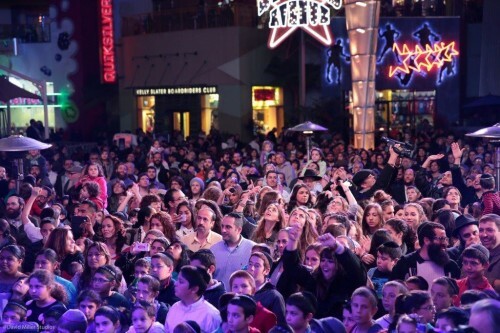 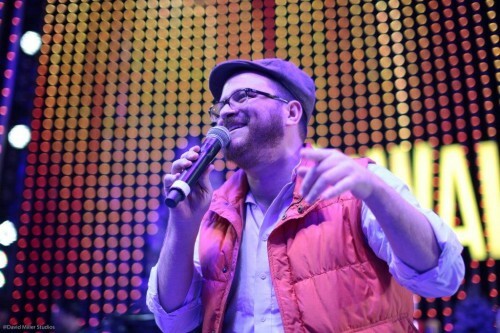 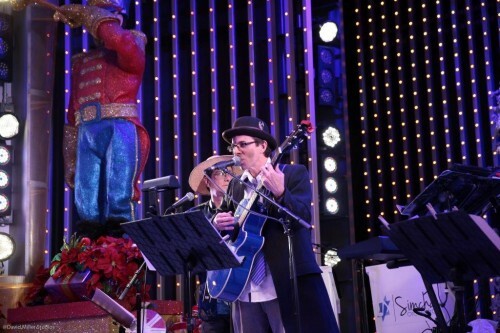 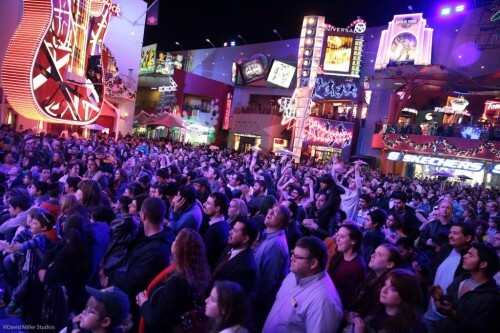 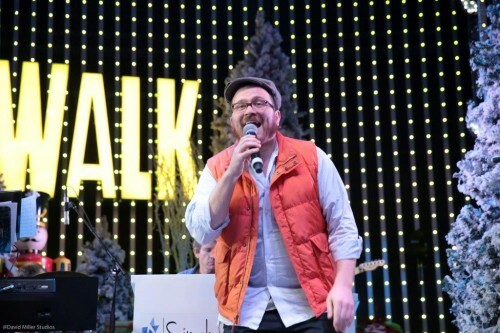 During the evening, numerous speakers thanked Jonathan Herzog, one of the Executive Producers of Chanukah at CityWalk for bringing together a spectacular array of talent, in a show of the magnitude that is rarely seen on the West Coast. 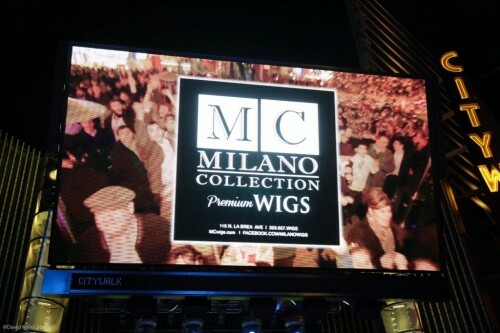 The giant stadium-sized screen was a focal point all evening, showcasing all the live onstage entertainment and video presentations. 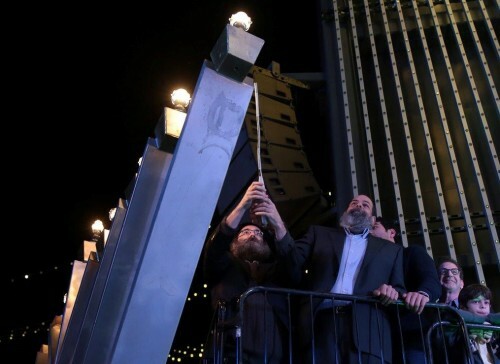 “To see a place like this so completely taken over by the light of Chanukah is truly the fulfillment of Pirsumei Nissa!” remarked Chabad of North Hollywood’s Rabbi Nachman Abend, who is responsible for arranging Chabad’s giant Menorah each year.